Ultimate Off Road Campers will formally launch an automatically opening lid at the Rosehill Supershow in Sydney from 24 - 29 April 2018. 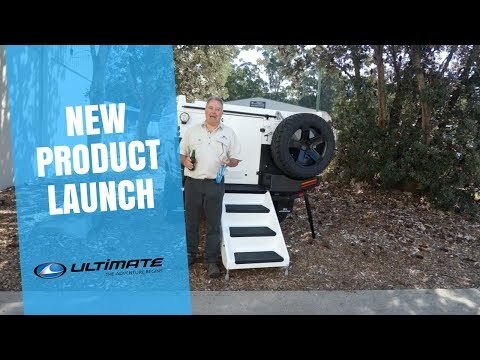 Ultimate Off Road Campers has announced the launch of an automatically lid on its range of iconic off-road camper trailers. The new product is set to be unveiled at Australia's biggest camping and touring show at the Rosehill Racecourse from 24 - 29 April 2018. The auto-lid is being sold as an optional extra to the current model line up - the XPLOR, XTERRAN, XPLOR GT and NEXUS - with effect from the Rosehill Show. There are no plans at the moment to retrofit the auto-lid. Co-owners of Ultimate Off Road Campers, Michael and Wendy Hackett said, "This is a game changer for us. It is something that many potential customers and owners have asked us about and something we have wanted to do for a long time. We're delighted to be making this happen. "The actuators we use are widely recognised for their quality and reliability and we have tested and proved them for over five years on our Nautilus campers. They are rated to a minimum of 10,000 cycles." It takes around 40 seconds to the auto-lid to be completely open or close and is priced at at $2,850. In addition to the auto-lid, Ultimate Off Road Campers also announced that it will be adding the all-new REDARC RedVision Total Vehicle Management System (TVMS) to its list of optional extras for the XPLOR, XTERRAN and XPLOR GT. The the TVMS will be a standard feature of the flagship model, NEXUS.